The Mercure Lyon l'Isle d'Abeau hotel welcomes you to the heart of the Villefontaine/St-Quentin-Fallavier Technology Park, 15.5 miles from Lyons and 11.2 miles from the airport/Lyon St-Exupéry train station (there is a payable shuttle during the week, sub ject to availability. Contact us to make a reservation). For business or leisure trips, discover our comfortable rooms, hold your meeting in one of our 7 meeting rooms, enjoy seasonal cuisine in our 2 restaurants or relax in the Ikébana fitness room. Cultural manifestations in Lyons are legion: Festival of Light, Biennales de Lyon, Nuits de Fourvière This Mercure Hotel benefits from a privileged location for exploring Lyons and its surroundings. Heated indoor swimming pool. Access depending on availability. 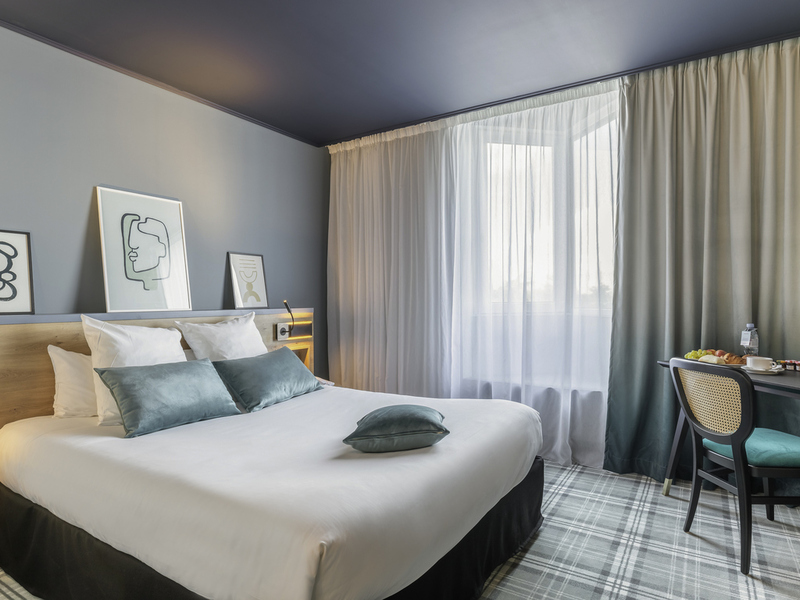 The Hotel Mercure Lyon l'Isle d'Abeau combines charm and comfort. Choose from the various categories of comfortable, elegant rooms, all with welcoming atmospheres. Enjoy the comfort of our Standard Rooms or take advantage of the extended range of services offered by our Superior Rooms. We also offer studios for when you need a little more space. Traditional and regional cuisine served in a cozy atmosphere, for a moment of elegant relaxation. Enjoy a drink in a friendly atmosphere in this brasserie that is brimming with character. Enjoy our lovely terrace and outdoor swimming pool on sunny days.